Architecture, interior design, and luxury real estate photography for Sonoma, Napa, Marin, and San Francisco. Located in Santa Rosa, CA. 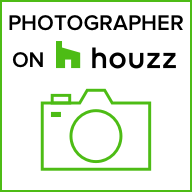 Award-winning photographer, Bart Edson, photographs architecture, interiors, and luxury real estate for private and commercial clients throughout the San Francisco Bay Area and beyond. "Bart is a premier photographer and his photos reflect our brand perfectly. We definitely recommend Bart to anyone looking for high quality, exceptional photos." Bart grew up in Marin County, attending Terra Linda High School, then graduating from UC Davis, and has a deep connection to the San Francisco Bay Area and to Northern California. Today, he lives in the Sonoma wine country as does most of his extended family. On every assignment, Bart arrives with a lifetime of photographic experience, having shot world-wide travel photography, wild American landscapes, and intimate portraiture for 25 years before starting his business specializing in architectural photography. Bart’s talent for capturing light and ambiance to create epic imagery has been a defining passion for his adult life. This passion shines through in his architectural photography, and has attracted a wide audience throughout the industry. With a strong sense of integrity and expertise, Bart views each project as a collaboration with his client. He carefully listens to his client's needs, and he shares his own expertise, with the end-goal of producing stunning imagery that will serve as powerful marketing tools for his client's business. "Bart has a natural ability to shoot great photos and is loaded with skill. The results were excellent. I hope to use Bart again in the future. He is a real find...I highly recommend him." Bart approaches every job as an experienced creator of artistic and evocative images that do more than just convey information about a space—they evoke an emotional reaction and transmit a certain, nearly magical, sense of inspiration. Located in Santa Rosa, CA and serving the San Francisco Bay Area and beyond.